WASHINGTON (AP) — Brett Kavanaugh looked in desperate need of a fighter on his behalf as he gave impassioned testimony to the Senate Judiciary Committee denying allegations of sexual assault. Democratic senators pressed Kavanaugh over and over again to request an FBI investigation if he had nothing to hide. Enter Graham, who said that if Democrats truly wanted an FBI investigation, they could have spoken up when Democratic Sen. Dianne Feinstein, the ranking member of the Senate Judiciary Committee, was first made aware of the allegations from Christine Blasey Ford. Just hours earlier, Ford described for senators what she says was an assault by Kavanaugh on a summer evening three decades ago. Kavanaugh denied the allegation. “What you want to do is destroy this guy’s life, hold this seat open and hope you win in 2020,” Graham said with his voice shaking, pointing at Democratic lawmakers. Graham’s independent streak has sometimes got him into trouble with conservatives, but he won plaudits from many of them on Twitter. 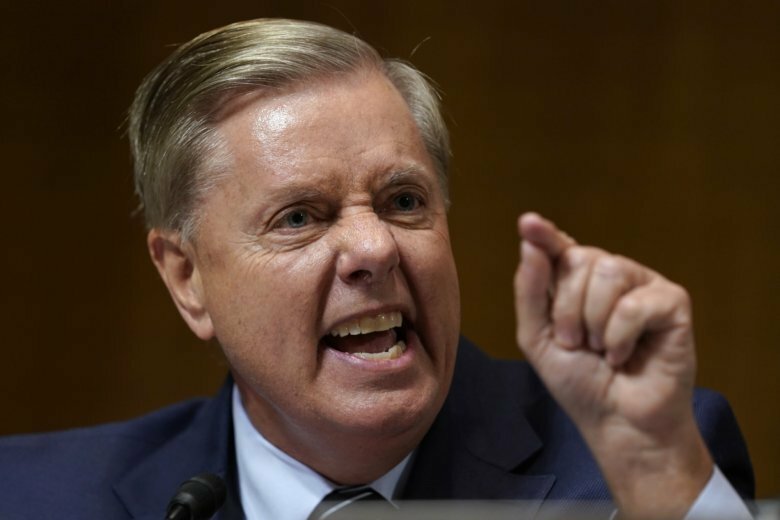 “Blistering statement from Lindsey Graham is as strong a denunciation of this process as I’ve ever heard,” tweeted longtime Fox journalist Britt Hume. He also won a large number of detractors as #LindseyGraham lit up on Twitter.